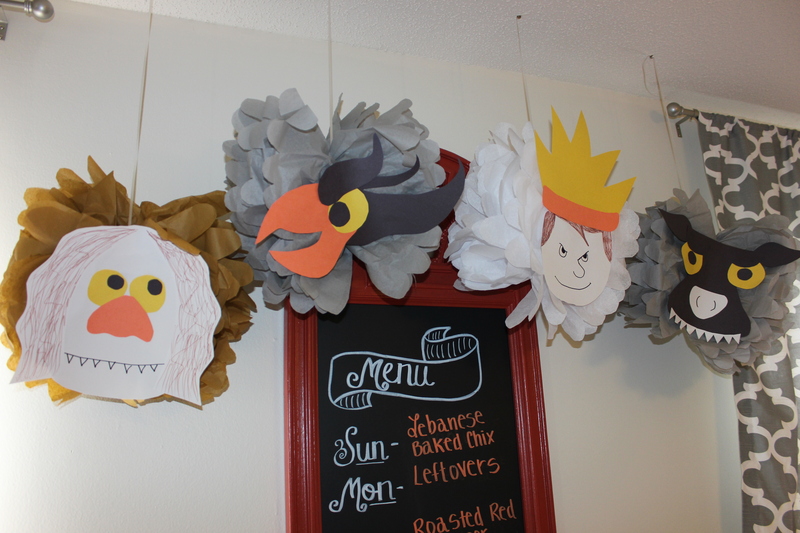 NOTE: I will reiterate what I said in my other DIY invitation post. It is legal for you to use copywrited images and characters for your own personal use as long as you are not profiting from that use, however, big corporate print stores like Staples and Office Max are weird about printing things with these types of images (like the WTWTA characters on my invite) and will not do it because technically it is trademark infringement on their part as they profit from your payment to them for printing. Some print stores, like my local Postal Anex are a lot more lax about this kind of thing so bear in mind that you will need to seek out one of these smaller establishments or print them yourself at home or at the library. 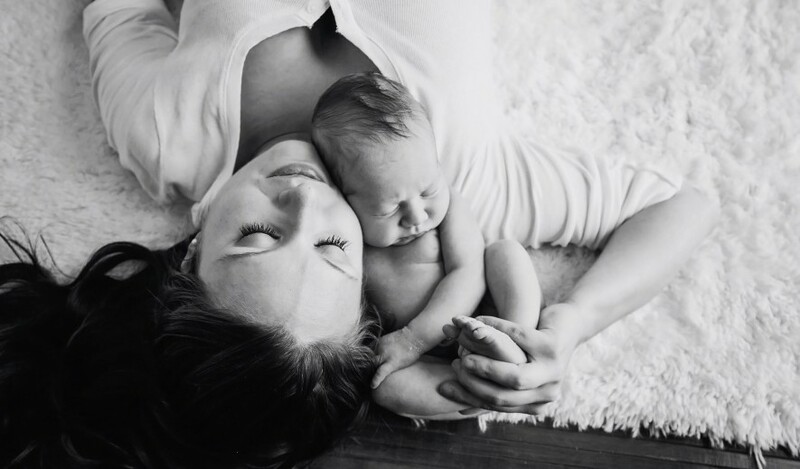 As mentioned above, the only difference between this invitation and the example in my DIY Invitations and Greeting Cards post is that this one contains a photograph (which is super easy to ad). 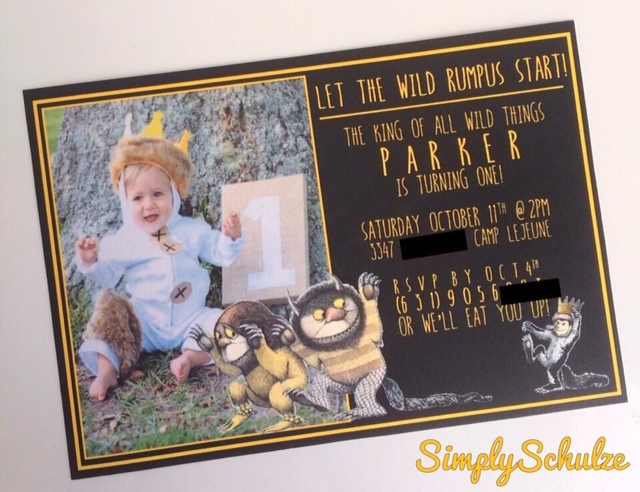 For creating the text portion of the invite and adding the characters (which I found by doing a Google search for “Where the Wild Things Are characters”) I will refer you to the previously mentioned post. As for adding a picture simply select: INSERT>PICTURE and retrieve the picture from wherever you have it saved on your computer. Once you have added the photograph you may adjust the size and then select: FORMAT>PICTURE>OUTLINE if you wish to change the color or weight of the outline around the picture (I used a thick yellow outline to match the font). Like the font I used? 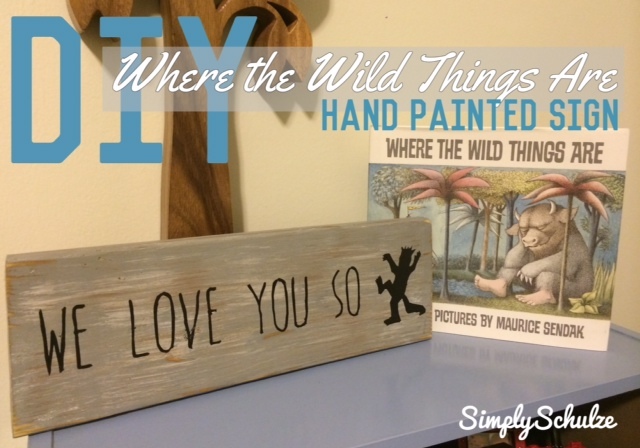 It’s “Hello, Goodbye” available here via dafont.com, the same one I used when creating my DIY Hand-Painted Where the Wild Things Are Sign. Do you absolutely love my photo of Baby P in his wolf suit? Check out the my DIY Wolf Suit Costume tutorial! 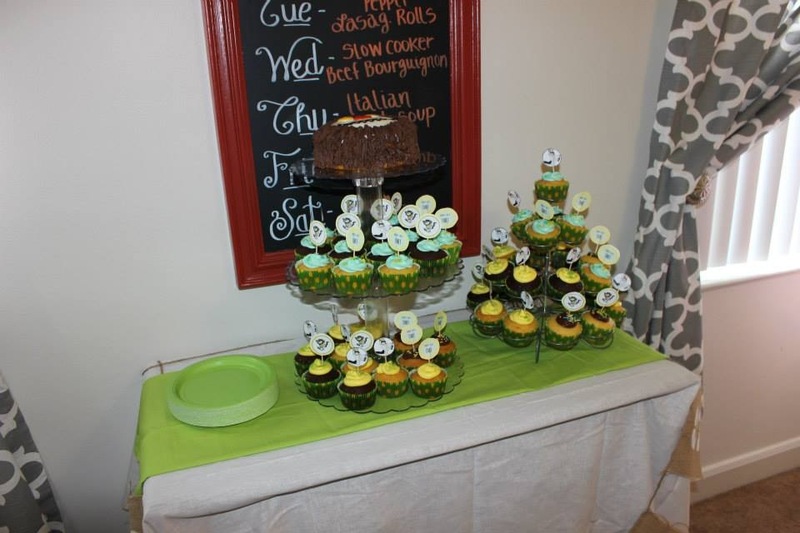 So in wrapping up my posts on Baby P’s first birthday bash I figured I’d share one last cute little money saving party idea – DIY favor tags and cupcake toppers! 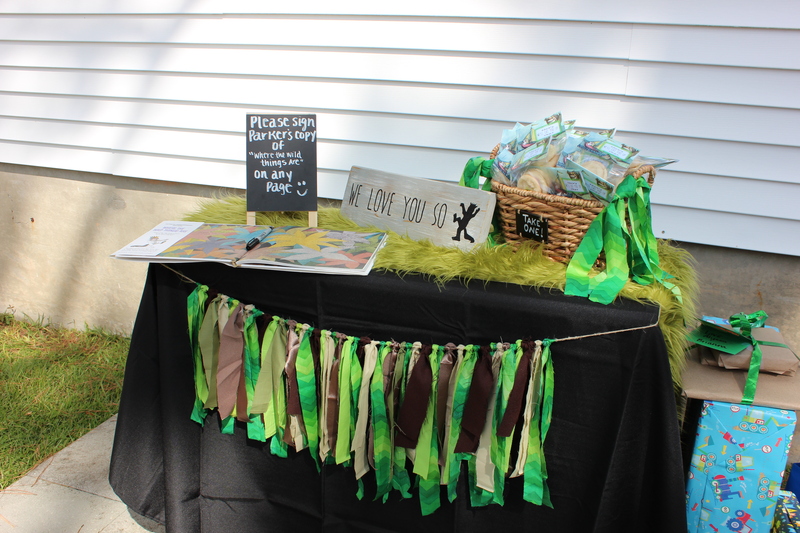 My favor tags were as simple as using the same method I did to create P’s invitation and stapling it to a little baggy of cookies! 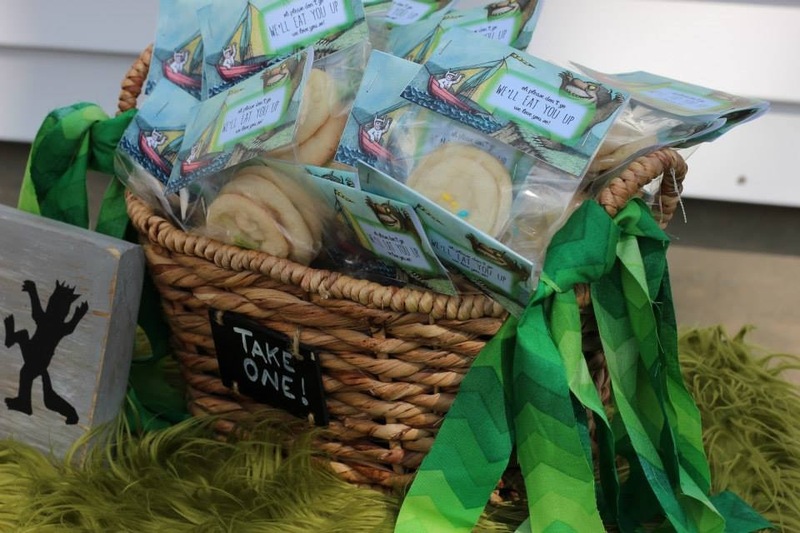 Due to the wide age range of kids that were going to be in attendance I wasn’t sure what to do for favors but I knew I wanted to do something cost effective, so what’s more cost effective than sugar cookies? 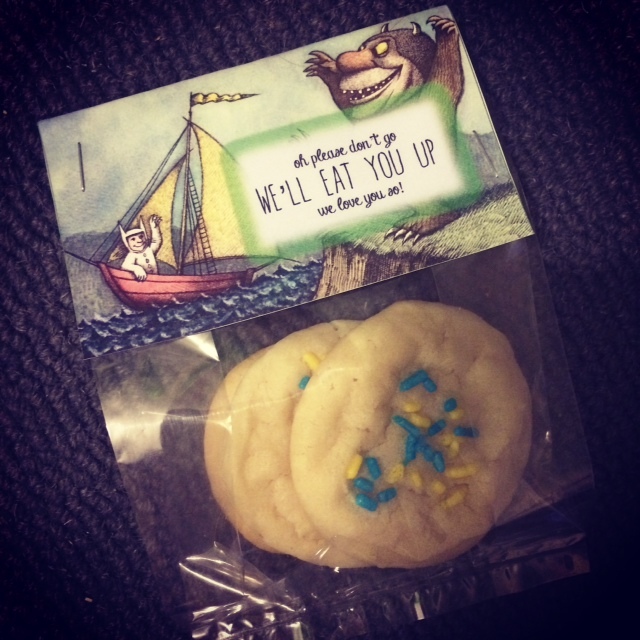 Plus I felt that giving something edible really lent itself to the “we’ll eat you up” part of the favor tag. While originally I had planned to make cookies in the shape of a “1” time ended up getting away from me and I just went with simple homemade (and by homemade I mean those ready-to-bake rolls of dough that you buy in Walmart, lol) sugar cookies with sprinkles. I was really happy with how they turned out and even happier that I was able to customize my favor tags to fit the party theme! close-up of favor tag and cookie bag. favors as we displayed them. 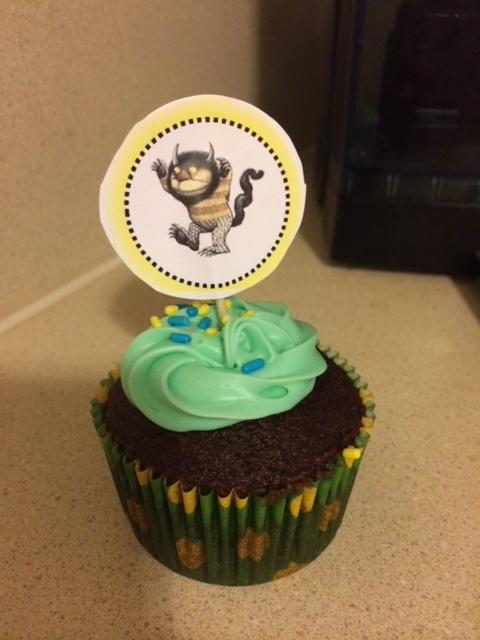 As for the cupcake toppers they were a last minute DIY idea for when I decided that I was going to forgo the idea of having a professional make the cupcakes and smash cake and make them myself. While I’ve gotten crafty with cupcake decorating in the past (check out my margarita and patriotic cupcakes!) I knew that since I needed about sixty cupcakes I didn’t want to commit to any type of elaborate design. In searching various online retailers I came across some pretty adorable cupcake toppers, even some that were already customized to my theme, but in an effort to save some addition money I decided to just create them myself by using Microsoft Word to create little circles with various WTWTA images inside (see my post on DIY Invites & Greeting Cards without Photoshop for more on making some simple designs without fancy computer programs). Once my little circles were printed all I had to do was cut them out and use a glue stick to glue them together around a standard toothpick. 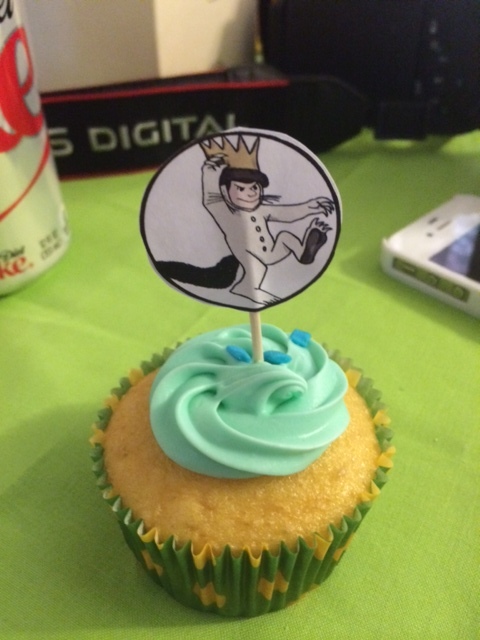 While the process was a little tedious it was a super easy and FREE way to jazz up my box cupcakes! TIP: Want an even easier option? Print the favor tags out on shipping labels and simply stick it to a little colored paper baggy. 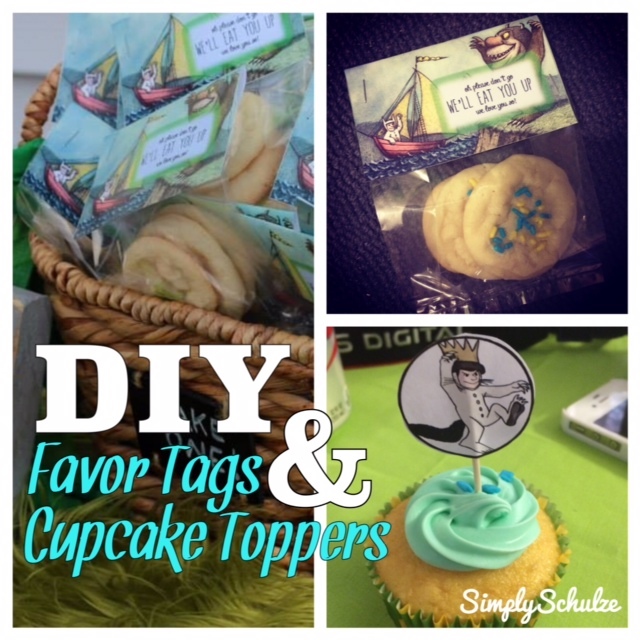 You can apply this same idea to your cupcake toppers by printing out the characters on circular labels and sticking them together around a toothpick so that you can skip the cutting step altogether. 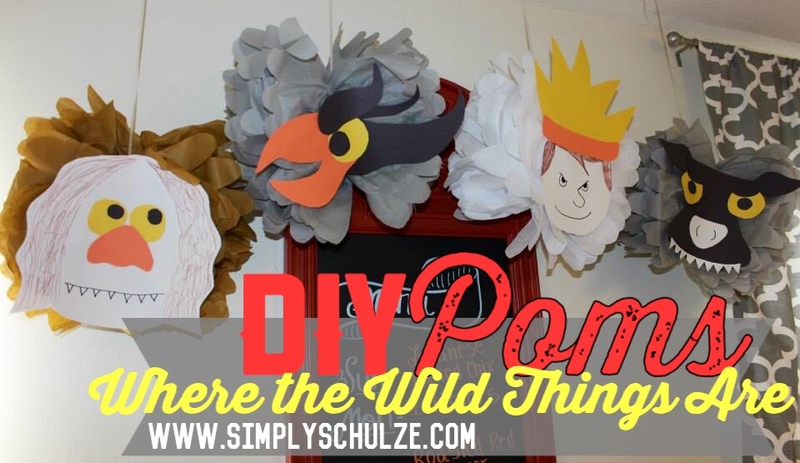 If you’re interested in throwing your own budget-friendly “Where the Wild Things Are” party and would like to use my caketopper and favor tag designs please contact me and I would be happy to share the document with you free of charge! 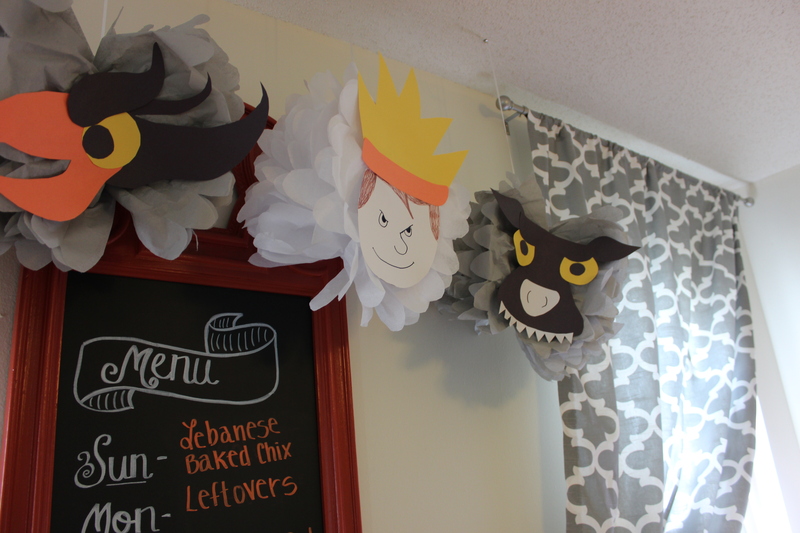 So I predict that this will be the first of many posts about baby P’s “Where the Wild Things Are” themed first birthday party. 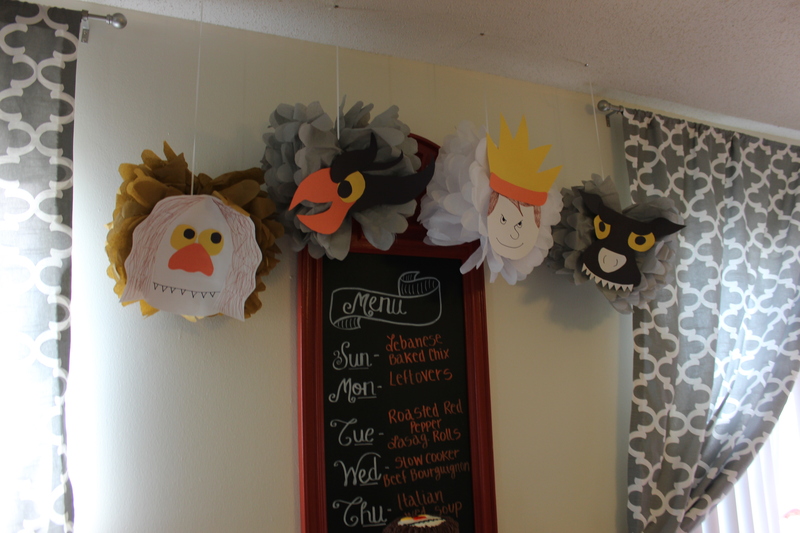 This particular project was part of the DIY “snowball effect” that resulted as my mind raced with DIY inspiration with each party decor addition, lol. 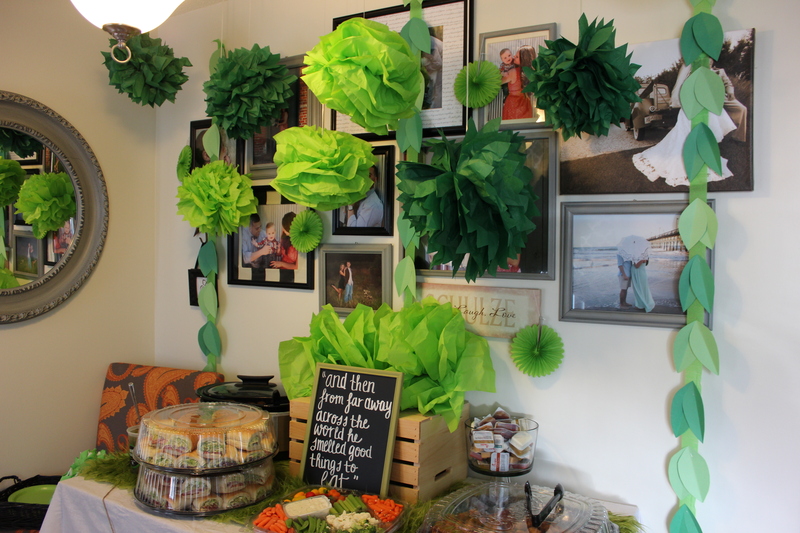 While I was already spread way too thin trying to get everything done with for the party, I couldn’t resist adding one more little decor detail in the form of a cute little “we love you so” sign – especially because it cost me nothing but time to create! I used the same piece of wood (taken from my neighbor’s trash) that I used to create my DIY coat rack and my DIY Mason Jar Organizer and the same homemade chalk paint (made using “Stone Mason Grey” by Valspar) that I used when making my first DIY Hand Painted Sign for our laundry room/command center. Since I really liked the font I used for his invitation (called “Hello Goodbye” which I downloaded for free here from dafont.com) I used the same one for the sign and as for the silhouette of “Max” I found that here via Google images. For a full tutorial refer to my DIY Hand Painted Sign post for detailed step by step instructions to create your own sign! The sign as we displayed it with P’s guest book and favors. 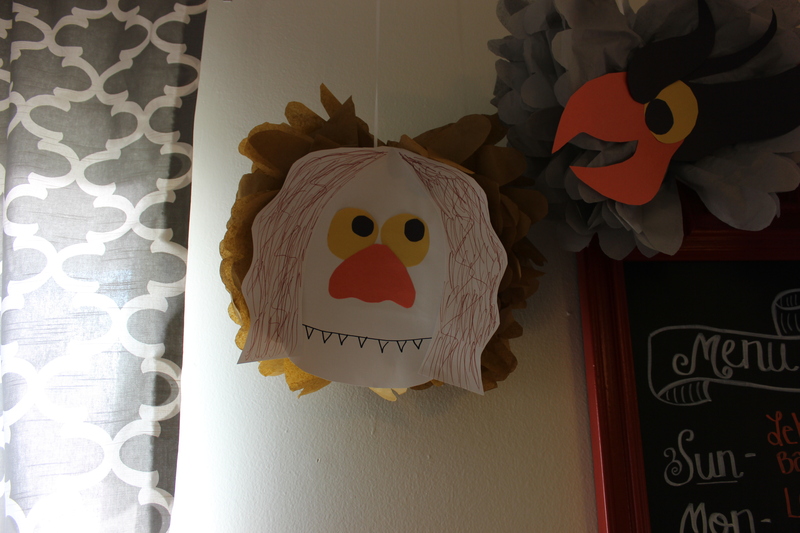 Interested in making a scrap fabric banner like the one pictured above? Check out my tutorial here!